The result of his visit was an interview that might have changed his course of action when it came to fighting for Elizabeth. If you have not read it yet, just click here and you’ll be in contact with Mr. Darcy’s deepest feelings. 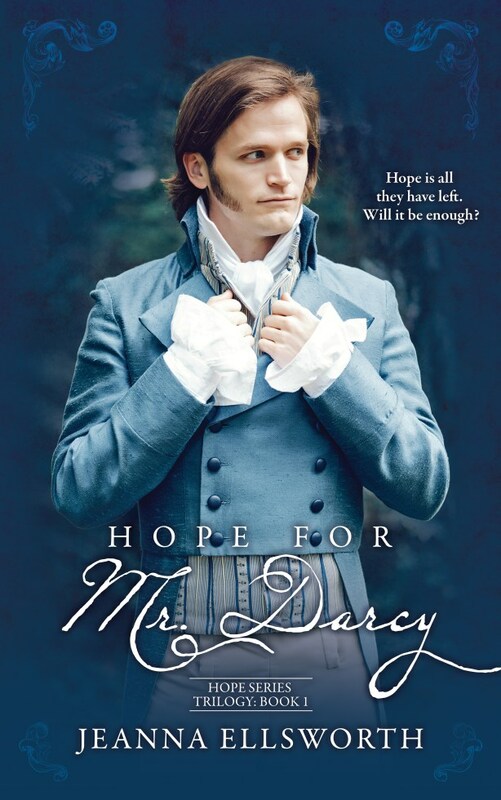 Jeanna Elsworth was kind enough to allow Mr. Darcy to visit me, but she didn’t think only of me 🙂 She also had my readers in mind, so she asked Mr. Darcy to bring a copy of Hope for Mr. Darcy to offer to one lucky winner. Please send me your e-mail address to ritaluzdeodato at gmail dot com so so that we can send you your prize. Yes, a visit with Mr. Darcy was lovely, Rita. Oh my goodness! Thank you so much…I am so glad Mr. Darcy visited! I will send you my email address.